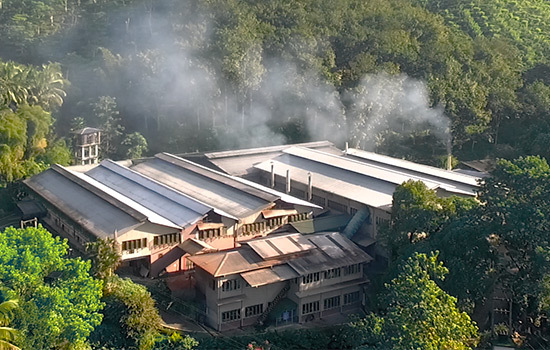 Production of Ceylon tea has been a passion in Sri Lanka for more than 150 years. World-wide consumption increased exponentially during this period. The serene Sinharaja Rain Forest has bio-diverse environs and a unique ecosystem. It borders Ceciliyan Estate to the North and is designated a Biosphere Reserve and a World Heritage Site by UNESCO. Spanning 130 acres in the verdant hills of Kalawana, in the Ratnapura District, Ceciliyan Estate is in perfect harmony with nature. It is managed by Ceciliyan Associates Private Ltd, a family business in its third generation, from the early 1920’s. Ceciliyan is regarded as the name of the wife of the original owner and was endorsed by managements from 1940 onwards. Seasonal rainfall is due to both the North-East and South-West monsoons. The micro climate around Sinharaja forest reserve helps keep tea bushes healthy and produce succulent tea leaves throughout the year. The mild climate enhances leaf Chlorophylls, improving made tea’s blackness. Nutrient-rich soils, enhance the enzymic activity, thus contributing to produce liquoring tea. These inherent environmental factors, specific to this area, help produce teas having unique characteristics that others cannot replicate. Our MD/CEO Paani Dias, counts more than 45 years of versatile experience in managing plantations growing a variety of crops. He was trained in the Netherlands in Dairy Farming. He was awarded the Diploma in Plantation Management and is a Fellow of the Institute of Plantation Management. Mr. Dias was Past President of the largest stakeholder in the tea industry, namely the Sri Lanka Private Tea Factory Owners’ Association, which naturally, plays a pivotal role in the manufacture of Ceylon Tea and is Vice Chairman of the influential Ceylon Tea Traders’ Association. Being customer centric, we now export the finest quality Ceylon tea as per buyers’ requirements from confirmed samples. We help preserve micro climate of UNESCO recognized rain-forest. 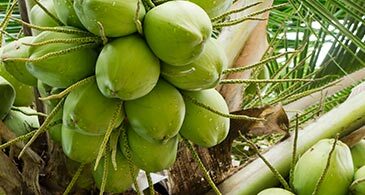 Coconuts are cultivated conforming to organic requirements in 20 acres of fertile soil. 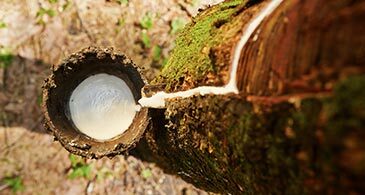 Almost 30 acres in extent, our natural rubber plantation benefits from the prevalent unique climate and soil conditions. 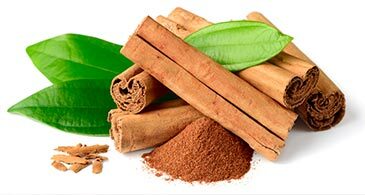 Ceylon cinnamon, sought-after the world over, is grown and produced in its purest form.